That last statement caught my attention because I’m sure I’ve heard it somewhere before. Where was it? Oh yeah, in nearly all the church growth books I’ve read the past thirty years. If your church is going to grow, those books told us, you must “make it compelling enough” so that “people will go just about anywhere.” That has has worked for many church and that’s not all bad. However, it has impacted the way many churches “do” church. “Doing church” became more of a weekly production. The sanctuary platform became a stage. The congregation an audience. The foyer became the lobby. “Lights, camera, and action” became the call to worship. Expectations went way up as to the “quality” of the production that needed to be presented each week. A coordinated and complete experience was key that started with the appearance of the property and the directions in the parking lot; it continued to the front door greeters, to the accessibility, friendliness, and appearance of the nursery, and then on to the production in the worship center. It was all about the total sensory experience. Meet those expectations and you had a shot at getting the guest to return. Oh yeah, somewhere in the mix of that was a worship service. Don’t misunderstand me. I’m not saying that I think it’s wrong to plan for a “total experience” that touches the senses of the guest. We’re about ready to launch an auditorium and foyer remodel project because we believe appearances count for something. We pay attention to landscaping and cleaning our building. I’m just saying the Disney-factor has effected how churches do church and I’m not convinced the effect is positive. I’m not questioning the ministry integrity of churches that put on great weekend productions. I can’t judge their motives or their hearts. Bill Hybels and his “Willow Creek” network and Rick Warren and his “Purpose-Driven” network have had a huge impact on how churches do church. My take, as I’ve read their works, heard them speak, and studied their paradign-shifting ministries is that these men have been driven by pure motives to reach people for Christ and lead them into a life devoted to following Christ. Is there any more compelling purpose one can have in life? I may not agree with everything that lies behind their methods, but I’m not into bashing them. I think the problem has come when marketers took these men’s successful ideas, packaged them up, and sold it to Hybels- and Warren-wannabes. What the marketers couldn’t package up and sell was these men’s personal passion to love and serve God. In my opinion, the result of packaging theses church growth ideas without the heart and vision of their developers, has been a Disney-approach to church, a wholistic experience rooted in rehearsed, perfectly coordinated, multi-sensory, staged performances. Please hear me when I say I am not impugning the motives of every church that follows these models. I am simply expressing my opinion that Disney ought not to be the church’s trendsetter. Some churches that have gone that route have since modified or turned away from this approach because it’s left them rather empty. The emergent church, at least in some cases, has been a reaction against both the perceived rigidity of fundamentalism and the “Disney Church” of the megachurch movement. Graceless rigidity is suffocating. Spirit-less Disney productions may be interesting, but you get tired of them after a while because there is no life changing power in them. I don’t argue the fact that Disney has proven that “if you build something and make it compelling enough, people will go just about anywhere.” It’s not wrong to offer something as a church that is “compelling enough” to attract people. I’m just saying that the Disney-effect may not result in what Jesus is looking for in His church. It may attract a crowd but to what end? Have fun at Disney, but maybe what’s said and done at Disney ought to stay at Disney. 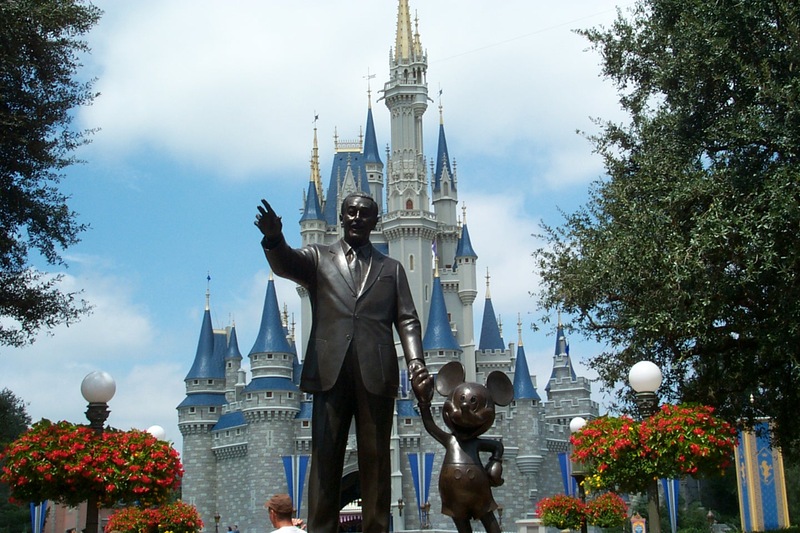 This entry was posted in Uncategorized and tagged Church, Church growth, Disney. Bookmark the permalink.